Vrooom! We’re back for another Sketchfab texturing challenge and this time the subject is a souped-up sports car. To get you started, Renafox has created a UV mapped model of a sports car – download it and bling it out any way you want. Adding a bit of geometry here and there is allowed but be sure to concentrate on the paint job and textures! TL;DR: texture this Sports Car model using your favourite texturing workflow, upload it to Sketchfab and tag it with #SportsCarTexturingChallenge. Be sure to credit Renafox and link to his model. Once you’ve created your scene, upload it to Sketchfab, tag it #SportsCarTexturingChallenge. Based on "[Sketchfab Texturing Challenge: Sports Car Base - Base](https://sketchfab.com/models/63b728d04de74575bc1c8029da8946f3)" by [Renafox](https://sketchfab.com/kryik1023), licensed under CC Attribution-ShareAlike. 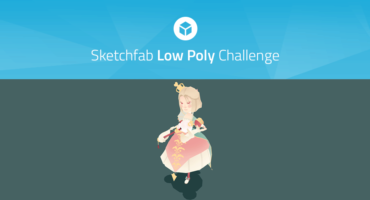 Contestants models must be uploaded to Sketchfab and tagged #SportsCarTexturingChallenge to be considered. The winners will be contacted by Friday, November 24th. I would love to see a recording of a full textured model *all steps to published 😀 maybe I will start using such a program if I see the fun in it. Just a thought *-* good luck ! and where can i see all the entries? ohh the link to the car is on the top left of the picture. Hi, can I add some stickers and logos for companies on my entry? Thanks in advance! I like your sports car texturing. Thank you for great car texturing. Looking forward to the next model.